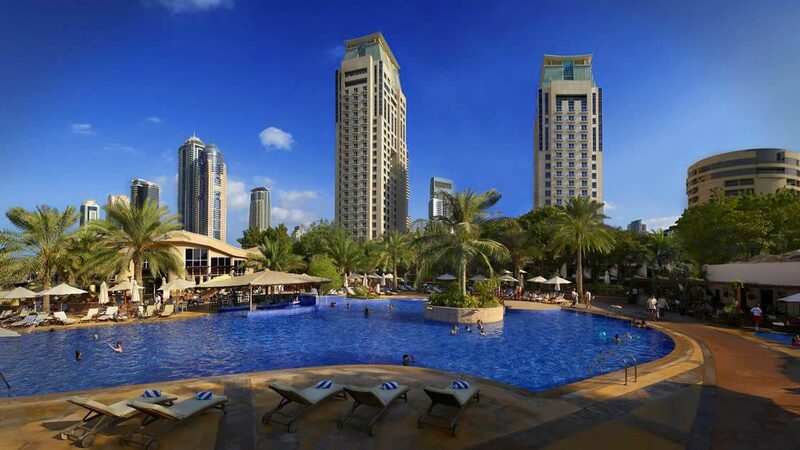 A stylish and impressive family beachside resort, the Habtoor Grand Resort, Autograph Collection, sits on the fabulous Jumeirah Beach next to Dubai Marina. Indulgent days and romantic evenings are assured with a high level of service and attention to detail. 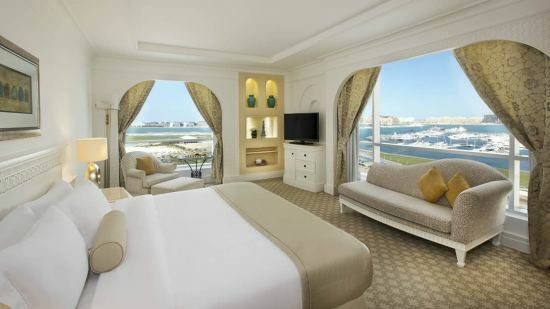 Key features include ultra-stylish rooms and suites filled with 5-star luxuries, and boasting spectacular views. Within the resort is the exclusive Elixir Spa and there are superb culinary treats in the exquisite restaurants. 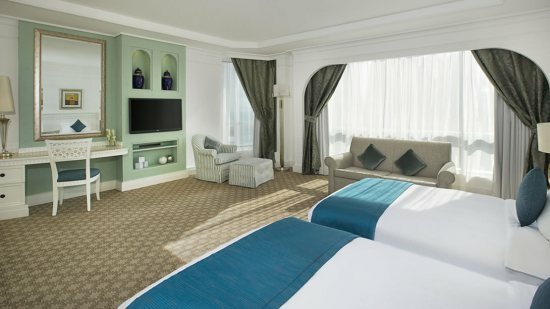 Add to this direct private beach access, child-friendly activities, shopping plus entertainment, and you have a truly decadent collection of privileges for an unforgettable Dubai holiday. The Habtoor Grand Resort, Autograph Collection, leads out directly onto a beautiful private soft-sandy beach. 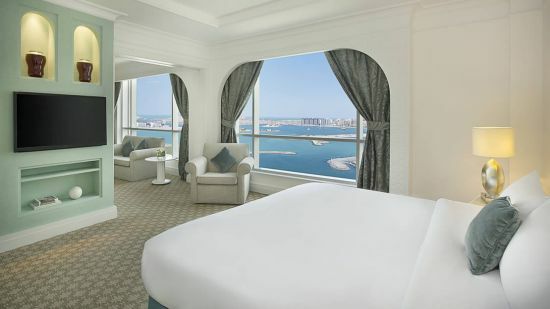 Situated in the contemporary area around Dubai Marina, a stay at Habtoor Grand Resort, Autograph Collection, gives easy access to many of Dubai’s top attractions. In addition to the numerous restaurants, bars and facilities within the resort, there’s a wealth of other choices in the nearby area and for 1.4km along The Walk. Family-fun is in abundance in Dubai, including the Dubai Aquarium and Underwater Zoo, approximately 25km away, and KidZania in Downtown Dubai, 27km away. For a golfing break in Dubai, Emirates Golf Club is about 4km. Dubai International Airport is approximately 33km from Habtoor Grand Resort, Autograph Collection. Featuring a host of 5-star amenities, these rooms offer a delightful space to relax in with views over manicured gardens or the glistening waters of the ocean (Oceanfront Rooms). There's the choice of a king-size bed or twin beds, and a luxurious en-suite bathroom. Larger than standard guestrooms and accommodating up to a family of 4, these rooms enjoy a partial ocean view. There are a host of amenities and privileges designed to provide optimal comfort and convenience. Featuring exclusive lounge privileges, and 5-star amenities the Club Room is a fantastic choice for a special holiday in Dubai. Set on a high floor, you'll enjoy spectacular views of either the dazzling oceanfront or resort gardens. 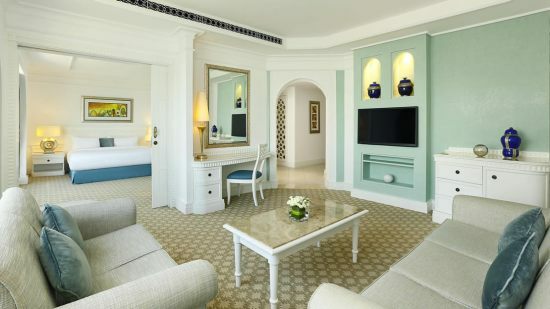 A stylish and spacious room that can accommodate up to 2 adults and 2 children. Located on the club level on the upper floors of the resort, this is a 1 bedroom suite with fantastic ocean views. 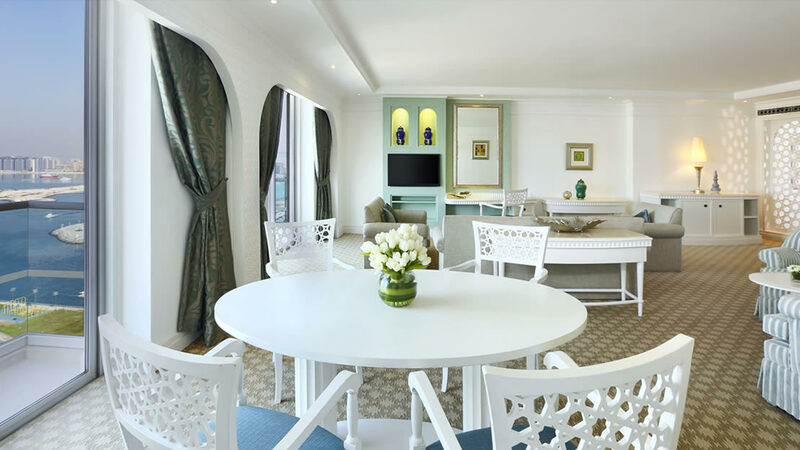 The most spacious of all accommodation and with exclusive Club Lounge access, the Ambassador Suite is a luxury haven of tranquillity. 1 large bedroom with king-size bed, a separate lounge and master en-suite in addition to a guest bathroom, ensures complete privacy. There are fantastic views from this oceanfront location and an array of ambassador privileges and amenities. When you book a room with Club Lounge access, you can enjoy an abundance of privileges to make your stay at Habtoor Grand Resort, Autograph Collection, truly special. Please note that details are subject to change. You will be provided with full details of the Club Lounge privileges on arrival at the hotel. The Habtoor Grand Resort, Autograph Collection, hosts a ladies’ night every Tuesday, at the Underground Pub, where female guests can enjoy 5 complimentary drinks and a live band. This warm and welcoming Italian venue is perfect for hearty classics whilst enjoying the garden pool ambience. An elegant restaurant situated at lobby level, Al Dhifaya serves its guests a delicious array of International cuisine. A range of classic Thai dishes. Middle Eastern cuisine and Lebanese specialties are the theme for lunch and dinner at this stylish restaurant. Sizzling steaks and some of the most succulent prime cuts are served at this vibrant Dubai steakhouse. International delights of world food will suit even the most discerning palate. This is a smart-casual venue open for lunch and dinner. British favourites like fish and chips. A range of tea, coffee and sweet treats. Candlelit dinner in Dubai’s smallest restaurant. 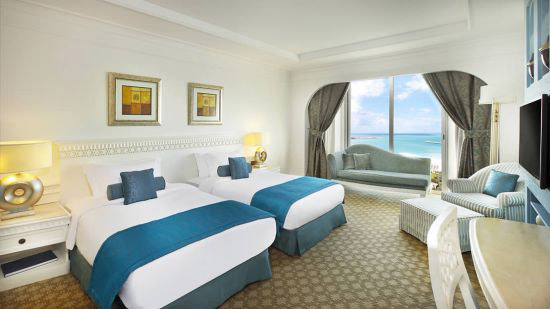 Guests staying at the Habtoor Grand Resort, Autograph Collection can enjoy Bed and Breakfast, Half Board and Full Board basis options.